Grey’s Anatomy is losing another one of its doctors this season. TV Line reported earlier this week that Jerrika Hinton is leaving the series at the end of this season. She will not be a series regular for season 14. ABC has not officially renewed the series for a new season yet, but it is almost a sure bet. Hinton is departing the series to appear in Alan Ball’s new HBO series. This is not the first time Hinton made plans to leave Grey’s Anatomy. Last year, she starred in a pilot, titled Toast, that was being developed for ABC. The pilot was not ordered to series. 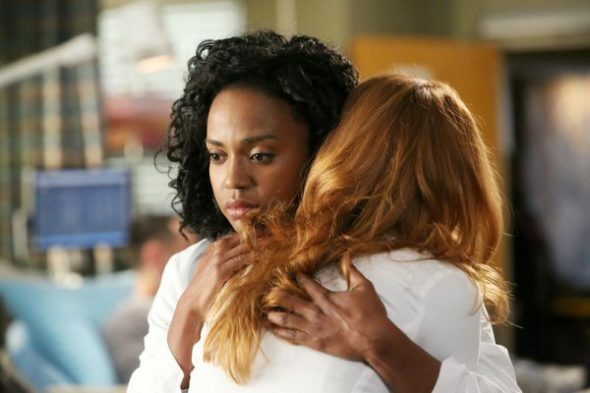 Are you sad to see Jerrika Hinton leave Grey’s Anatomy? Tell us what you think. More about: ABC TV shows: canceled or renewed?, Grey's Anatomy, Grey's Anatomy: canceled or renewed? Grey’s Anatomy: Is Sara Ramirez Returning for Season 14 of the ABC Series? Grey’s Anatomy: Sara Ramirez Not in Season 13?